Cloud phone systems and VoIP (Voice over Internet Protocol) are being used widely when referring to the Internet world of phone systems. Despite the different terms, there is little that differentiates one term from the other. In fact, Cloud and VoIP very much essentially offer the same telephone system functionality, making use of the Internet versus hardwired traditional phone lines. VoIP represents many Internet-based services. 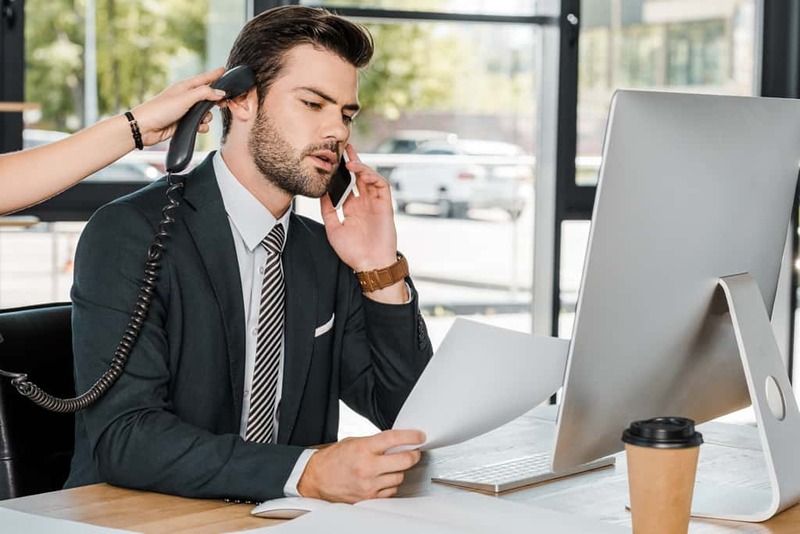 Companies who use VoIP for their business phone system aim to avoid paying the higher costs related to traditional phone line wiring, having internal and external calling on the same phone service, and implement a variety of extremely valuable telephone system features. With constant changes and new introductions in technology, the physical hardware and copper wiring of traditional phone systems are becoming obsolete. VoIP eliminates the need for all of that wiring and hardware, because it is completely powered by broadband Internet. All of the same features that made PBX phone systems desirable, such as automatic attendants, multi-party conferencing, queues, and more are just some of the features that are now offered by VoIP and many have even been improved upon. Business VoIP cuts costs for equipment, repair, and regular maintenance. VoIP also reduces costs related to per minute and per feature charges, while offering all types of businesses access to enterprise-grade features that were typically only offered by large and very well established organizations. The terms “cloud” and “VoIP” are at times used interchangeably or the systems are referred to by using both terms cohesively: Cloud VoIP communications. The bottom line is that cloud VoIP communications systems represent a secure, reliable communication platform that eliminates the need for on-site PBX hardware. With SMS, call forwarding, and a plethora of other features, this type of phone system offers a comprehensive business communications system, allowing the business owner to easily and cost-effectively manage all of their company communications from a computer or mobile device from any location in the world. United World Telecom offers cloud VoIP communications systems with simplified billing, 24/7-customer support, reliability, enhanced security, and easy setup as part of the onboarding process. Having secure cloud VoIP communications systems in place ensures that a business’ communications are well protected from service interruptions due to natural disasters, malicious attacks, and power outages. Without a secure, reliable VoIP network, downtime can have a large impact on a company’s bottom line. As an example, a seemingly simple power outage could put a traditional PBX system down and result in the loss of customers and profit. United World Telecom offers businesses reliability, security and a very responsive customer support team that is able to provide guidance on cloud VoIP communications to help keep a company’s systems running smoothly. The onboarding process is simple, while still providing those new to cloud VoIP communications thorough information, instructions and guidance every step of the way. United World Telecom has also evolved during its two+ decades in the industry, aiming to consistently deliver the latest in communications solutions for all businesses, large and small, and remaining at the forefront of the global communications industry. When all of the benefits of cloud VoIP communications systems are carefully analyzed in comparison to any other options available on the market, the choice is clear. For anyone that is still not sure, United World Telecom offers a free trial with continuing expertise and recommendations. Their customer service team holds a deep understanding of how to provide adequate services and how every feature and detail can serve to benefit businesses aiming to grow and succeed in the exceedingly competitive global business market.